I have been off line for a few days. 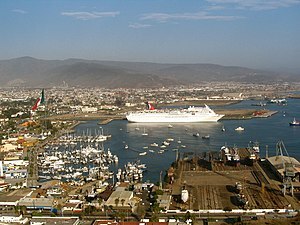 I took a trip with my friend and neighbor Diane to Ensenada MX, a very interesting trip. I just got in this evening and I’m tired my back hurts and I need an adult beverage. I will be going to bed early and will write a blog entry telling all about my trip later. Just thought I would let those inquiring minds know I’m back on line and enjoyed my trip to Ensenada and La Bufadora in Punta Banda MX.